Denver, CO – On Tuesday, ski resort operator Intrawest Resorts Holdings, Inc. reported results for the three and six months ended December 31, 2015. 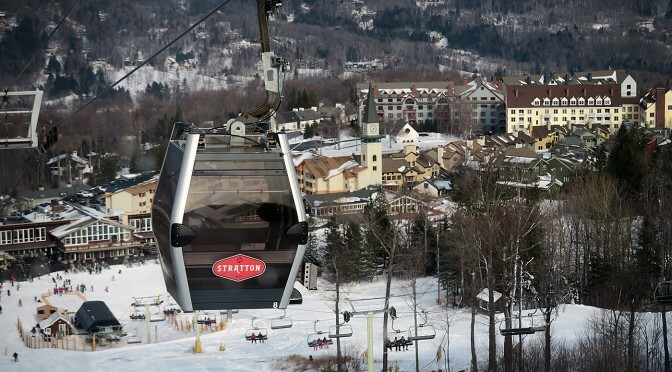 The Denver-based company owns or operates Steamboat and Winter Park in Colorado; Stratton Mountain, Vt.; Snowshoe, W.V. ; and Tremblant and Blue Mountain, both in eastern Canada. The company’s net loss in the second quarter narrowed to $27.3 million, compared to a loss of $31.1 million in the second quarter of fiscal 2015. Adjusted EBITDA was negative $6.9 million compared to positive $0.1 million for the same period in the prior year. Sales of season pass and frequency products for the 2015-16 ski season were up approximately 6% as of January 24, 2016 versus the same time last year. For the three months ending on December 31, 2016, Intrawest’s consolidated revenue decreased by $16.9 million, or 13.9%, to $104.0 million. Net loss attributable to Intrawest Resorts Holdings, Inc. improved by $3.8 million, or 12.1%, to $27.3 million, or $0.60 per diluted share. This growth was primarily attributable to a $5.3 million improvement in other income, which includes a litigation settlement gain, and a $2.2 million increase in earnings from equity investments, partially offset by lower income from operations of $4.0 million. Total Adjusted EBITDA decreased by $7.1 million to a loss of $6.9 million, largely due to unprecedented warm early season temperatures and lack of snowfall at the company’s Eastern resorts. Mountain revenue decreased by $15.2 million, or 16.1%, to $79.4 million, primarily due to a 26.9% decrease in skier visits driven by the company’s Eastern resorts. Mountain Adjusted EBITDA was negative $5.1 million compared to positive $2.5 million in the prior year period. Adventure revenue grew by $2.1 million, or 20.7%, to $12.4 million, primarily due to increased guest nights and higher yields at CMH. Adventure Adjusted EBITDA improved by $1.3 million, or 27.6%, to negative $3.5 million. Real Estate revenue decreased by $3.7 million, or 24.7%, to $11.4 million, largely due to lower sales volume. Real Estate Adjusted EBITDA decreased by 31.8%, to $1.7 million. The company updated guidance for fiscal 2016 to reflect year to date results, the current outlook for the remainder of the ski season, the sale of Intrawest Resort Club Group (IRCG), and the weakening of the Canadian dollar relative to the 1.33 U.S. to Canadian dollar exchange rate used to set the original guidance. Adjusted EBITDA is now expected to be between $104 million and $109 million. This guidance assumes normal weather conditions across the portfolio for the remainder of the ski season and a U.S. to Canadian dollar exchange rate of 1.42 for the third and fourth quarters of fiscal year 2016. Additionally, Intrawest expects to invest between $43 million and $48 million in capital expenditures in calendar year 2016, including an expected $11 million to $14 million of growth and discretionary capital and $32 million to $34 million for maintenance.